Finish Werks, one of the few modular builders to achieve Net Zero ratings in the east is at it again. 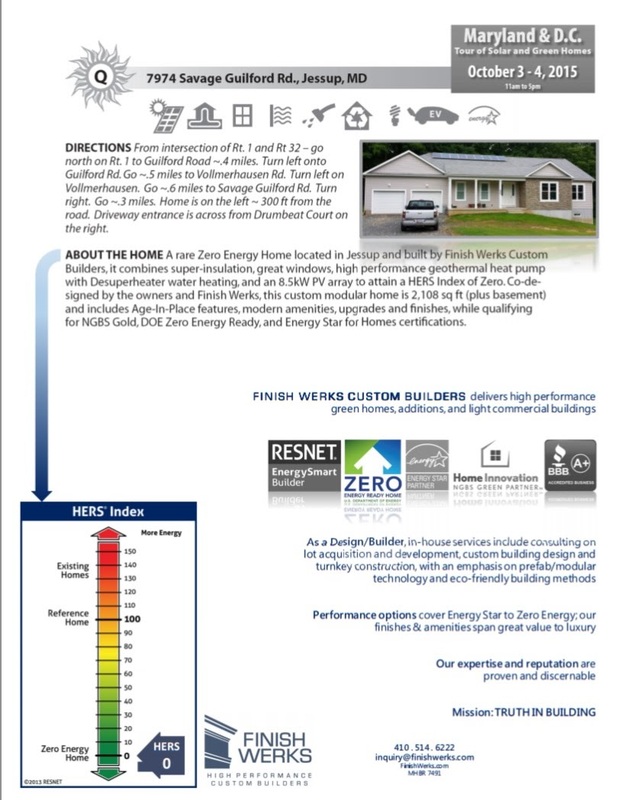 This time Harris Woodward, the owner of Finish Werks and a presenter at several of my Builder Breakfasts and Boot Camps, has created handouts for his latest Net Zero home in Jessup, MD and uses them to inform prospective new home buyers why buying one of his High Performance is their best choice. 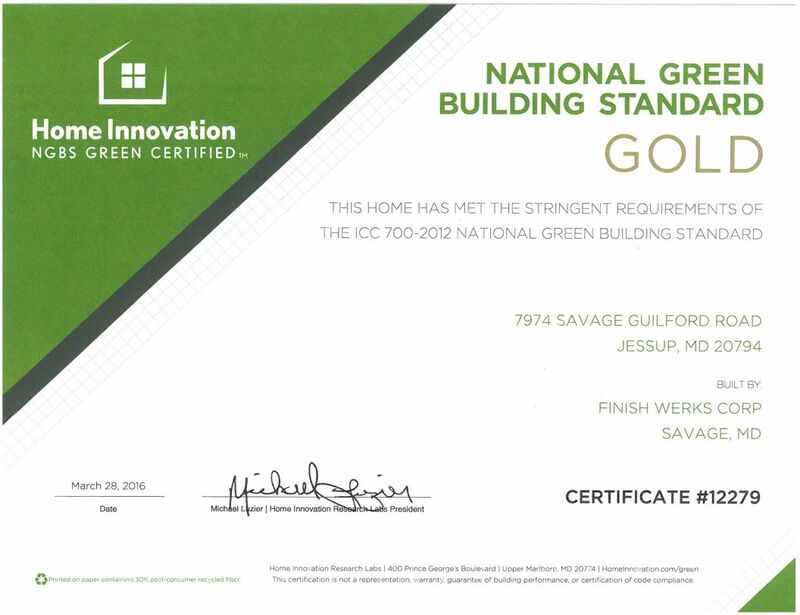 He is a master at marketing his company as the 'go to' builder for Net Zero and High Performance homes in Maryland. Here is his latest Gold award and the Open House handout for his Jessup home. 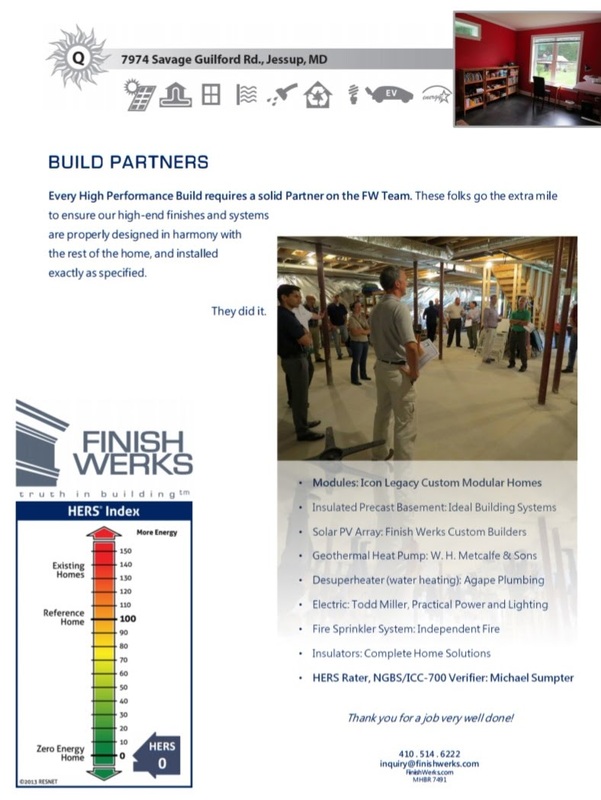 If you are a modular home builder in the US and would like to have a copy of the presentation he made at the New England Modular Boot Camp, simply email him. He is a wealth of information and is willing to share it with fellow members of the Modular Home Builder Association. Harris always does a spectacular job with his presentations. If you are thinking of more efficiency or net zero homes Harris is the expert you want to speak to in detail. Great job Harris keep up the good work!